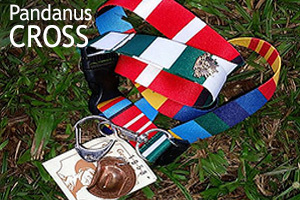 The Pandanus Cross is awarded daily to the Veteran or their guest who is deemed to have met the most stringent criteria required of recipients of this esteemed award. The selection of the daily award recipient is conducted by those assembled at the RAP by means of a show of hands, legs, abuse or cheers and takes place at approximately 1700 hours daily. The winner receives the Cross which is shown above. The winner is required to wear the award, without exception, for the following 24 hours. Multiple awards are possible and there is no limit to the number of times a Veteran or their Guest can win the award. The Secretary's casting vote is Final in determining the winner. The 2015 season Winners photos coming soon.